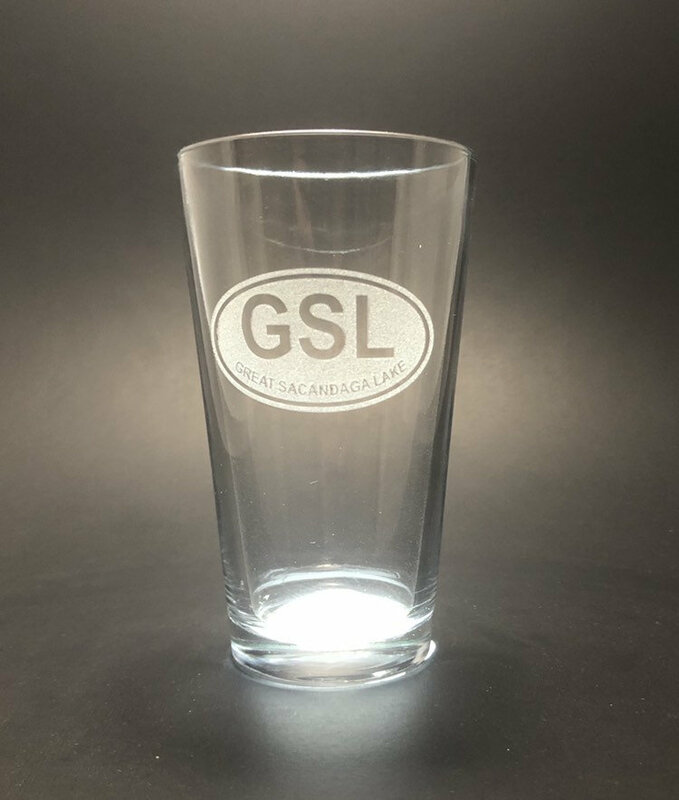 The Great Sacandaga Lake Euro Styled Sticker laser etched into a Pint Glass. The Great Sacandaga is another local favorite water destination. There are many great places to go and things to do here and in the surrounding area. Did you know that Sacandaga is Mohican for "Land of the Waving Grass"? Cool.